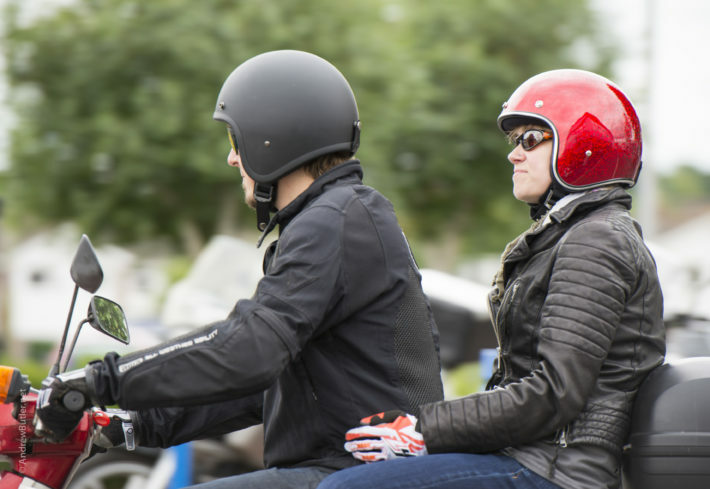 Getting your licence and hitting the road on two wheels is a milestone in itself but there’s still a lot to learn take in. Here are ten things you should – and shouldn’t – be doing. A huge part of motorcycling’s appeal is the amount of performance it’s possible to buy into for not a great deal of money. Yes, the rush of acceleration available with just a twist of your wrist is intoxicating, but don’t get carried away and get all giddy with your throttle hand before your brain has recalibrated itself to cope. 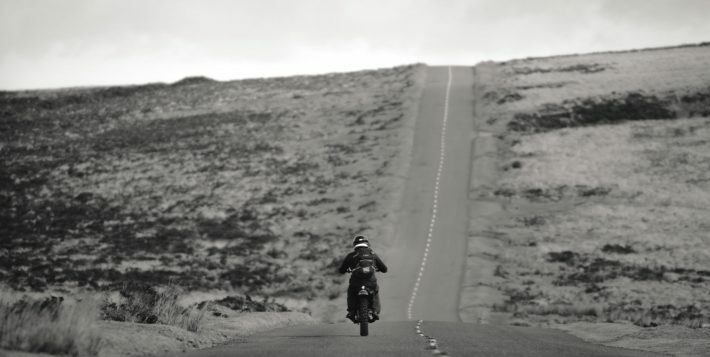 Anyone can open a throttle and go fast in a straight line, it’s what happens next that takes time and skill to master – and will get you into trouble if you don’t. Target fixation is a common affliction that most motorcyclists have experienced at some point. It’s nothing to be ashamed of, then, but it can get you into serious trouble. Target fixation is when you see something you don’t want to ride over or hit – say, a wet manhole cover or the outside of a corner when you think you’re running wide – and you panic, fix your eyes on it and end up going precisely where you didn’t want to. Overcoming target fixation takes a bit of mental effort but is possible with practice. It’s important to relax and stay calm, but the key part is to consciously force yourself to look where you want to go, not where you don’t. Helmets are, of course, a legal requirement, the rest is a matter of personal preference, but you really need to protect yourself as best you can against both injury and the elements. 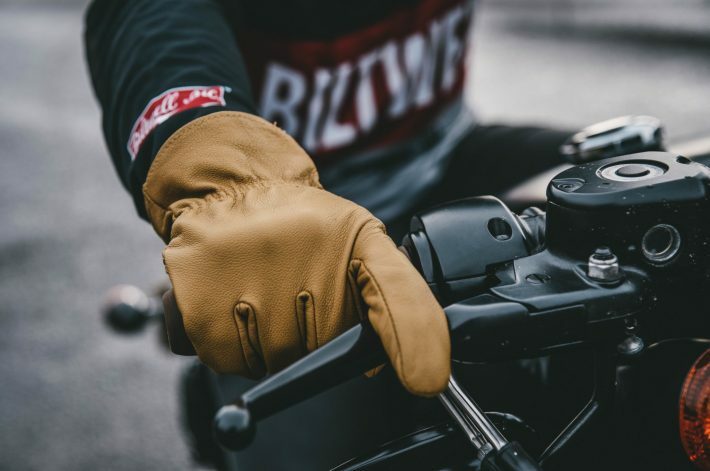 We’ve covered riding kit in much more detail elsewhere, but in short you should invest in gloves, boots, a decent jacket and some riding trousers. You’ll soon know if your kit isn’t up to scratch because you’ll be thinking more about how cold and wet you are than what’s going on around you, and that’s not the right way to be going about things. 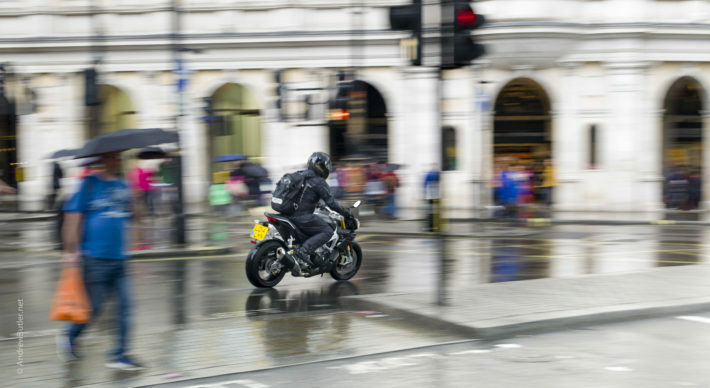 The chances are that at some point you’ll end up riding in the rain, but for many motorcyclists the thought of doing so turns their blood cold. Not only can you end up soggy and uncomfortable but the rain can also turn grippy roads into near ice rinks. Manhole covers, white lines and other road markings can become treacherously slippy, but as long as you have your wits about you, you should be fine. Modern-day ABS means locking a wheel is no longer a concern for many riders, while traction control can wade in and mitigate against clumsy throttle inputs if your bike is so equipped. Otherwise the key is smoothness: squeeze don’t grab, ease rather than snap the throttle open and keep your body – particularly your arms and shoulders – loose and relaxed. With practice should come confidence and the realisation that riding in the wet can actually be just as rewarding as riding in good weather – as long as your socks stay dry. Drivers stuck in queues of traffic can find it understandably irksome when bikes filter past them with barely millimetres to spare, so give as much room as you safely can – how would you feel if you were overtaken by a driver who left only a hair’s breadth between your elbow and their door mirror? And many drivers aren’t too keen on bikers nosing their way to the very front of lines of traffic, so try not to appear to pushy and make sure you don’t hold them up when the lights turn green. On the open road, don’t follow other cars too closely. If you’re looking for an overtake then close up ready to make your move, but if a pass isn’t on, drop back to a safer, more respectful and less intimidating distance. If you have friends who ride bikes too, it’s likely that you’re going to end up riding in a group. There’s little you can do to practice in advance, so the most important thing is your mental approach: know your limits and don’t be suckered into riding faster than you’re comfortable with. Make sure you know where you’re heading, so if things get too much you can drop back and ride at your own pace – and don’t be afraid of losing face by doing just that. 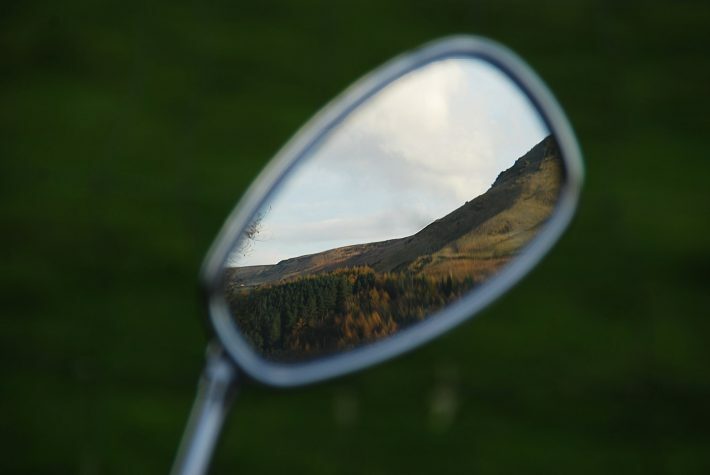 In the group, don’t fixate on the back of the bike in front; instead, look through and past them as far ahead as you can. While a bike in front is narrow, it’s also quite tall, so adjust your road position for the best forward view. And remember that groups of bikers can be intimidating and/or annoying to other road users, so be careful, cautious and courteous around them. Once you’ve got your full licence you’re allowed to carry a pillion passenger. Brilliant – but be careful. The extent to which a full-grown adult sat relatively high up and far back can affect by your bike’s handling might come as a surprise, so take it very steady at first. You might find that your steering goes a bit vague, you’ll need to brake a bit earlier and you might run out of ground clearance sooner than you think. You’ll need to be extra-smooth with all the controls, too, much like when you’re riding in the rain. You can mitigate some of that extra weight by adjusting the suspension a bit – adding rear preload is a good start, but make a note of where everything is before you start and return the settings back to normal once it’s just you on the bike. And remember, while it might sound like a tremendous idea to demonstrate to your pillion how fast your bike is and what a great rider you are, actually it probably isn’t. So please take it easy. This might sound desperately cynical and pessimistic, but if you ever find yourself not wondering what might potentially go wrong next, then you’re more at risk from something bad happening. In town you need to be on high alert at all times, but even out in the country or on a relatively quiet motorway it will stand you in good stead to have a little ’What if?’ voice on your shoulder, prompting you to think about any potential hazards or risks that may lie ahead. 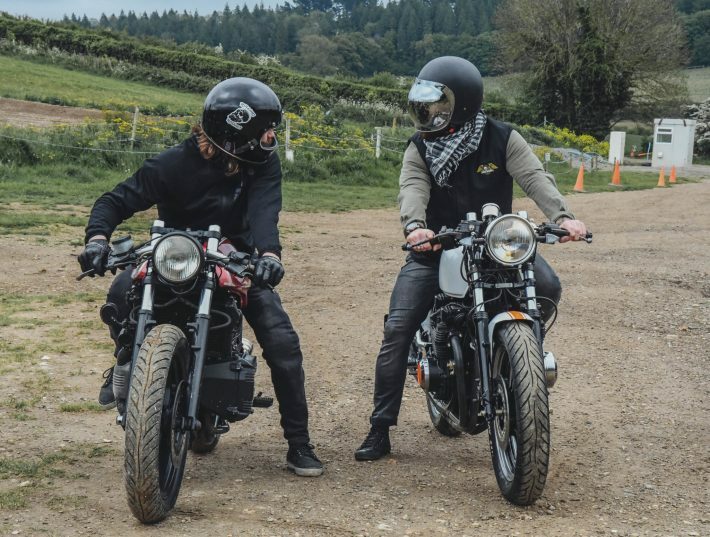 We’ve said it before and we’ll say it again: don’t let your CBT and on-road training for your bike test be the only time your riding is assessed by an instructor. A wide range of companies and organisations offer post-test or advanced instruction, and any training firm worth its salt will have the nous to tailor its courses to suit your needs and current ability. It can only make you a better, safer and more confident rider, so embrace the opportunity. If much of the above sounds like nanny-state protectionism, it’s only because we care. Yes, there’s no more exhilarating way of getting around than by bike, but the truth is that you’re far more vulnerable to mistakes – both yours and other people’s – than if you were in a car or on the bus. So bear that in mind but please, get out there and have fun. Because that’s what it’s all about. Next up, our top tips of maintaining your motorbike!